Reader Plus is a web-based PDF viewer and editor which allows users to access PDF documents from any web browser and annotate, manipulate, and collaborate on files. No external applications or plug-ins are required with content rendered securely behind organizational firewalls. 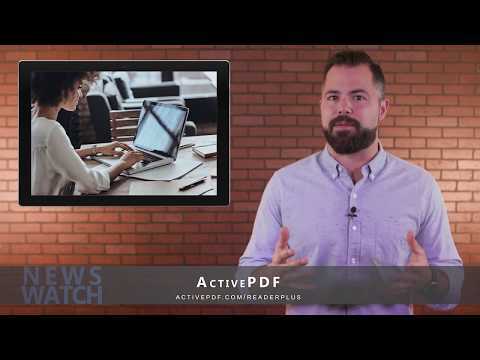 Reader Plus supports all web browsers, allowing users to access, edit, and fill forms in PDFs from anywhere. Users can add a range of annotations, including highlights, text, shapes, lines, and sticky notes, and add, remove, or re-order document pages. Document metadata can also be added or updated. Form fields can be pre-populated with data, and users can also set rules to enforce data entry in required fields. Access to documents through Reader Plus can be controlled with user permissions to restrict or allow editing, downloading, and printing of documents. Documents can also be secured with password protection. Reader Plus allows users to save their in-progress work and return at a later time to finalize their edits. Data from form fields can be retrieved and stored centrally. The API enables customization of the Reader Plus UI, including the integration of custom buttons and disabling of features. There are currently no reviews of Reader Plus. Perpetual licence pricing starts at $2399. Contact ActivePDF for details of royalty-free pricing. A range of annotations, including text, highlights, shapes, lines, and sticky notes, can be added to PDFs. Users can add, remove, and re-order document pages, and add or update metadata. Through the API, custom buttons can be created to extend UI capabilities, and users can also disable certain features. Fields can be pre-populated with data, and Reader Plus also supports enforcement of data entry in required fields. User permissions can be managed to control editing, downloading, printing, and more. Below are some frequently asked questions for Reader Plus. Q. What type of pricing plans does Reader Plus offer? Q. Who are the typical users of Reader Plus? Q. What languages does Reader Plus support? Q. Does Reader Plus support mobile devices? Q. Does Reader Plus offer an API? Yes, Reader Plus has an API available for use. Q. What other apps does Reader Plus integrate with? Q. What level of support does Reader Plus offer?